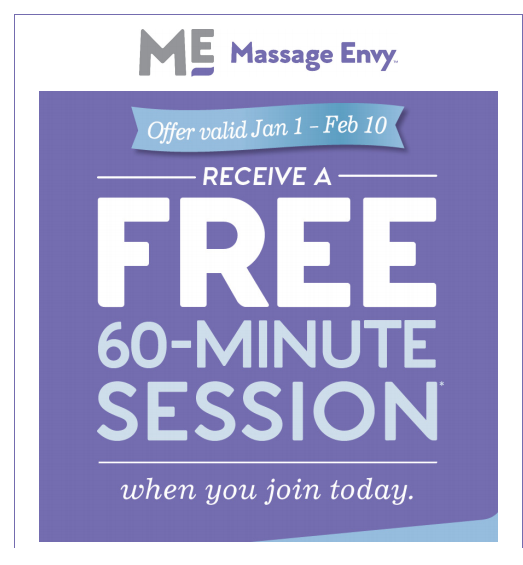 Get a free message at Massage Envy! A great way to start off the New year is getting a massage! If you purchase a 12 month membership you will receive a free hour massage! Now, through February 10th 2019.